The elbow is an important synovial hinge and pivot joint of the upper extremity. 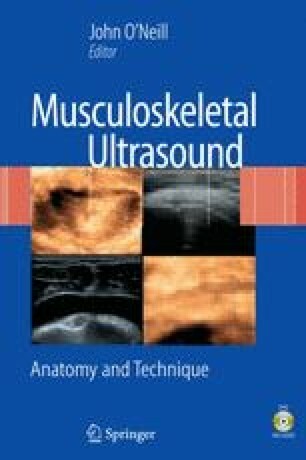 Given its superficial position, the elbow joint is easily evaluated by ultrasonography. This joint represents a common site of musculoskeletal complaints, which affect all age groups. Both joint and paraarticular structures are amenable to ultrasound evaluation. The elbow ultrasound examination lends itself to an organized anatomical approach: anterior, lateral medial, and posterior. Evaluation can be targeted to the area of the patient’s symptoms or to a specific clinical question.